Khua Phak Bong (Stir Fried Water Spinach) with pork bacon for dinner. This dish is simple to make with and can be serve with either steamed sticky rice or steamed Jasmine rice. I’m not a big fan of pork but can eat it a few times a year. The bacon is the thick cut version and sliced into bite size pieces. Soy sauce, fish sauce, and a dash of salt and sugar were used for seasonings. 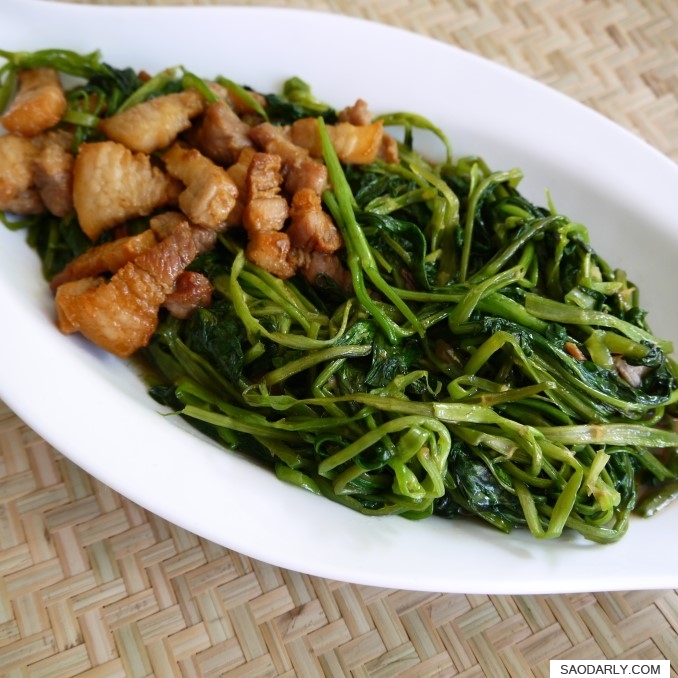 Stir Fried Water Spinach is really good with Jeow Mak Len (spicy tomato chutney).